JobTestPrep provides you with two unique interview preparation methods to make sure your application process is successful. Practising for an interview is no different than practising for an online test. If you simulate the situation in advance, you will perform better on the interview itself. We provide you with smart and simple tools that can help you land your dream job. There are a number of interview types used by employers and companies today. Below, you will find information about each interview type. 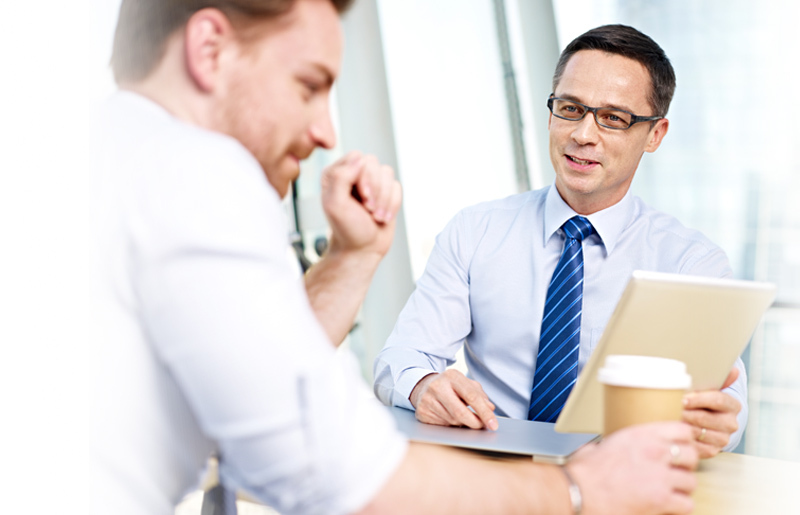 Our prep services can help you succeed in any of those interview formats. Competency-based interviews rely on your previous job experience to measure, assess, and prove your compatibility with the position for which you are now applying. Basically, you need to answer questions that show your past work experience, as interviewers use these types of questions to gain a better understanding of your personality, thought process, and potential future actions within their company, also known as behavioural, cognitive, and technical competencies. One of the most popular methods for answering questions in interviews is the STAR method. By answering interview questions with the STAR method, you will, in a two-minute answer, paint a picture which highlights not only your skills and competencies, but also how you have utilised them in past experiences. S: Situation – Situation means that you need to paint a picture in a general sense. In the Situation part of the answer, you need to describe the background to the main event. T: Task – Task is where you include the specifics. Whilst in Situation, you were merely opening the story, in Task, you are getting into the details of the problem. You need to describe why it was such a big problem and why you were the one to deal with it. A: Action – Action is really where you are aiming to get to the bottom of the story. You have been faced with a big challenge: How did you deal with it? What plan did you put into action to ensure the desired outcome? R: Result – Result is wrapping up the story. After building up the problem and the solution, you now have to explain how you got the desired result and what this achieved in the long run. Strength-based interviews focus on what you, as a professional, enjoy doing. This type of interview promotes the idea that you will be doing more of what you're good at versus what you are capable of doing. Furthermore, this type of interview and process is supposed to increase your work flow and drive due to the fact that you are placed in a field or position you enjoy rather than something that will quickly disinterest you. Just as it sounds, video interviews are interviews via video. Employers will send you a link to an interview platform which contains pre-determined interview questions. Here, you will have a chance to briefly view the question before you record and submit your answer. Although seemingly easier, this method of interviewing means that you will not have a chance to expand upon your answers or explain yourself further, so it's essential that your answers be spot-on. Just as it sounds, phone interviews are interviews via telephone. This type of interview typically lasts between 10–30 minutes, and you are asked a number of basic questions—availability, salary requirements, experience, why you want to work for "X" company, what you know about the job position's duties and responsibilities, etc. If you pass the phone interview, you will then be asked to either complete a video interview or meet for a formal in-person interview. JobTestPrep knows that finding a job or career can be an extensive and lengthy process. To ensure success and ease, we've created a list of helpful interview tips. Arrive early – By arriving early, you will have time to practise your interview responses and figure out where you're going. Dress the part – Dressing the part demonstrates to employers that you arrived prepared and are professional. Do your research – Don’t wing the interview(s); spend time assessing the job position and the company. Remember the job you're applying for – It's okay to apply to multiple jobs, but don’t bring up working or having applied for competitors. Ask questions – This is your chance to get clarification and ensure that this is the company for you, as well as to show the interviewer that you're truly interested. Practise – Practise your answers and interview skills so that you won't be nervous and will appear confident. We are here to help you succeed on your next interview. Choose your preferred preparation service and start improving your performance today.